Prior to all of the federal safety regulations, airline passengers probably would’ve been able to sneak a flask onto a plane. Or even a tube of toothbrush if you didn’t have time to brush your teeth before rushing to the airport. But then everything got all tightly wound and even bathroom toiletries couldn’t get past the screeners. Now a new laser scanner dubbed the INSIGHT100 may finally do away with the restrictions. 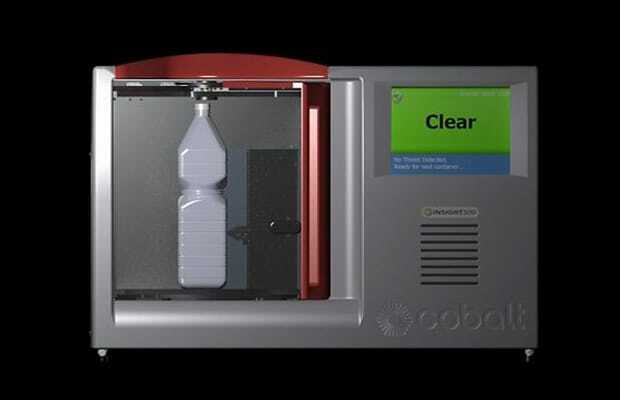 Resembling a microwave, the scanner can detect what any liquid actually is, within seconds. It’s already passed European aviation tests, so domestic tests, and eventually usage, could be next.